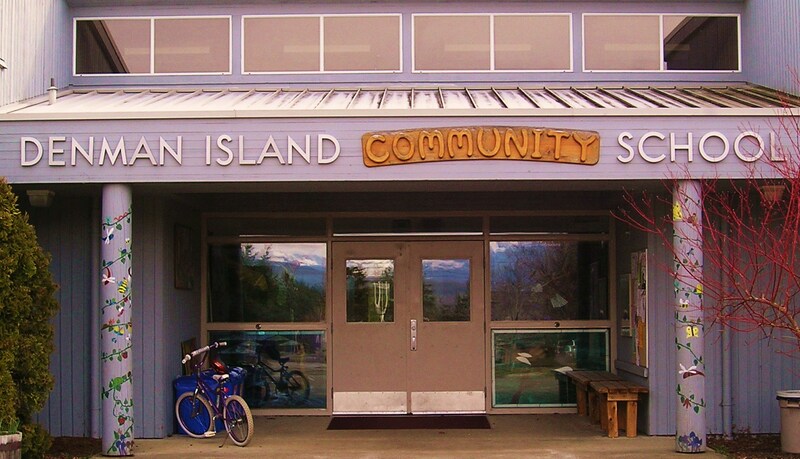 Denman Island Community Education Society (DICES) and the Denman Island Community School provide a variety of educational, support, and recreational services to children, youth, families, and adults in the community. Our programs include literacy and early intervention programs for pre-school and primary children, support for teens commuting to high school, community Internet access, distance education, health and wellness education, continuing education for life-long learning, employment counselling, and recreational programs. Denman Island is one of several Community Schools in School District 71, Comox Valley. Membership in DICES Join us! Membership in DICES is open to all Denman Islanders. Please call or send us an email. DICES is a non-profit society, registered with the province of BC. There is no charge for membership. Community School Funding We rely on the generous support of community for many of our programs, such as the Food Bank, Christmas Hamper, and CAP site. Please contact Kate to learn more, or make a donation directly by cash or cheque to DICES. DICES has federal charitable tax status and can issue receipts for donations. Ideas for programs are always welcomed. Our volunteers and instructors are special people! If you can offer some of your time to help out with a program, or if you would like to suggest a new program, please let us know! Community Programs are meant to be accessible to all islanders. We work hard to establish affordable program fees that also reflect the high degree of skill and expertise that many instructors bring to their programs. Arts Denman offers Denman Islanders of all ages bursaries for partial fees. Courses that provide technique and skill development in fine arts, crafts, and performance (e.g., voice, dance, music and theatre) are eligible. Applications are in Abraxas freepost under “A”. Contributions are most welcome and can be made directly to School District #71, c/o the Secretary-Treasurer. Tax receipts will be issued. Thanks to everyone who has helped to create this opportunity for our Denman students! Thanks to Pam Willis and Arne Olafson for developing the original version of this web site in 1999-2000. Thanks to Don Reimer, Rafal Jasinski, Mike Scott and Wind Rombough for assistance since then. We have kept it simple, fast, and hopefully sustainable! Most importantly, we hope it proves to be useful to you – please let us know.